Good and encouraging news is emerging from Luanda, Angola, where the government and officials from the Ministry of Science and Technology have expressed great interest to start laying foundations for the establishment of an Angolan National Research and Education Network. At a recent meeting titled “The impact of science, technology and innovation in the growth and diversification of the economy,” held on 31st January and 1st February 2017, the Ministry of Science and Education invited UbuntuNet Alliance CEO Dr. Pascal Hoba and MoRENet CEO Prof. Lourino Chemane to talk about UbuntuNet Alliance . Making his presentation at the meeting, Dr. Hoba introduced UbuntuNet Alliance to the delagates and stressed to government as well as university officials the importance of universities and research institutions getting their internet capacity from a Research and Education Network like the UbuntuNet Alliance. MoRENet CEO Prof. Lourino Chemane also presented the MoRENet bussiness model which got officials from the ministry of Science and Technology inspired to step up their efforts of establishing an NREN. Speaking after the conference Dr. Hoba said officials from the ministry were impressed with the work of UbuntuNet Alliance in connecting and providing value added services to research and education institutions saying the officials from the ministry have pledged to facilitate the established of an NREN and apply for membership of UbuntuNet Alliance by June this year. “The meeting was highly important because it gave us a chance to explain the role and impact of the NREN on universities and research institutions. We explained to delagates that apart from providing , the benefits of associated with while Prof. Lourinho presented to the Angolan government officials how the Mozambaican Research and Education Network is reducing the cost of bandwidth for universities and research institutions by connecting to the UbuntuNet academic network. At the end the response and interest from the officials was overwhelming and they pledged to work applying for membership by June this year,” said Dr. Hoba. 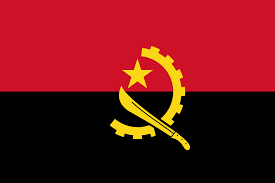 Angola is one of the countries within the UbuntuNet Alliance region yet to establish an NREN but the ministry of Information, Science and Technology is currently implementing a project that is connecting some universities in the country.